But I had to make an exception for Bob Murphy's new book, Murphy's Lore. It's a collection of the columns that the Western Bulldog's veteran (and now captain -- about time) has written for The Age over the past seven years -- sentimental, funny, passionate, an insider's view of the football field by someone who doesn't just play the game at the highest level, but thinks and feels deeply about football's place in our society. He writes about community, family, the bond between team-mates, the theatre of sport, the history of struggle and loyalty that has formed that weird entity that is a football club, and the place of the players inside that entity. He writes about belonging, and fun, and pain; and trees and shoelaces and music and sausage dogs. I suspect without Bob's columns, I might not have become a football fan. 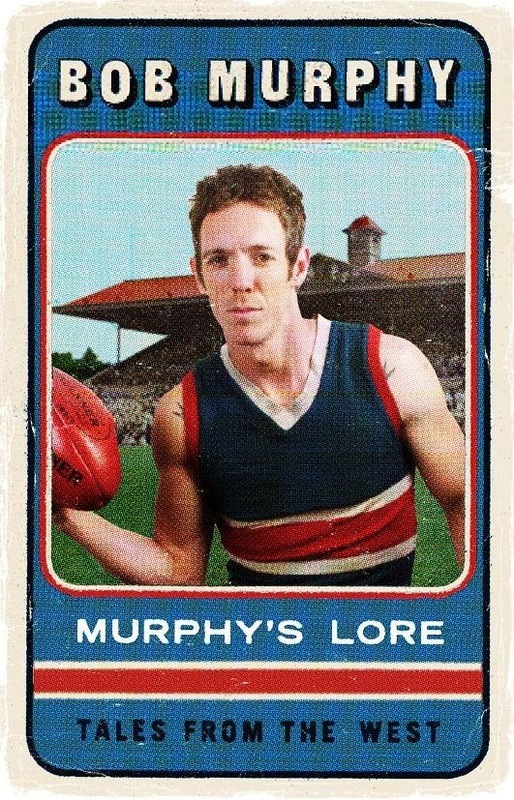 When I joined a fan forum for the Western Bulldogs a few years back, I chose the username Murphy's Lore as a tribute to Bob's whimsical wisdom. Last Friday I trekked out to the Whitten Oval to get my copy signed, but I was too shy to tell him that. I don't have many heroes, but Bob Murphy is one of them.